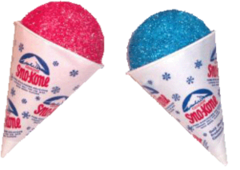 Sno Kone Syrup Blue Raspberry 1 Gal. Sno Kone Syrup Cherry 1 Gal. Sno Kone Syrup Grape 1 Gal.